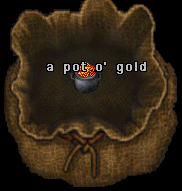 WTS RARE "Pot o' Gold"
Discussion in 'Selling' started by Darksaber, Apr 16, 2019. Auctioning off this Rare Pot o' gold! I have only seen one other of these posted anywhere!! Homer the miner likes this.